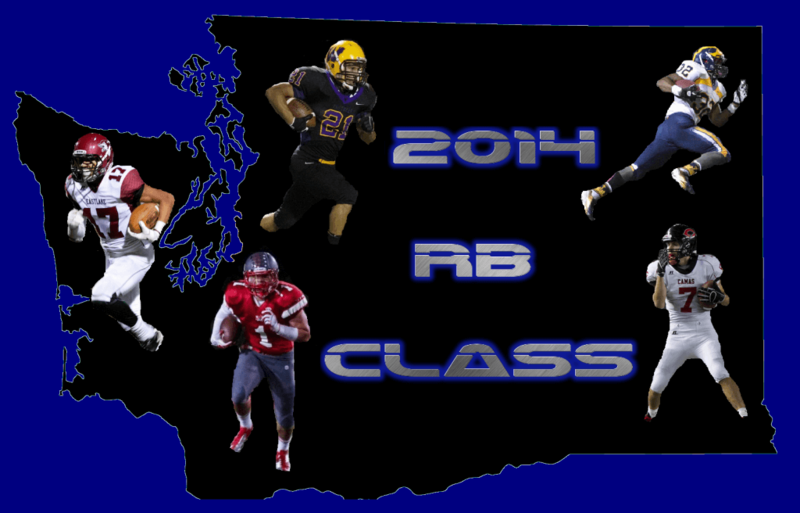 Looking ahead to next season, the state of Washington’s 2014 Running back class may be the best in state history. Four of the five backs already have big time D1 offers and each of them is even better off the field. Have a look at some of the top student athletes in the country, who just happen to rival any other group the state of Washington has ever produced. Probably the best thing about one of the nation’s top players, is that the first thing anyone ever says about him is what a great kid that he is. As good as he is on the field he is even a better human being. His dominance over the last three years has been staggering helping his Wolverines to three straight state titles, and a #2 national ranking in some polls. Budda is dominant at the running back position and could play on either side, but projects as a corner and likes the defensive side of the ball. Some athletes just have that “it” factor and Budda is one of them. 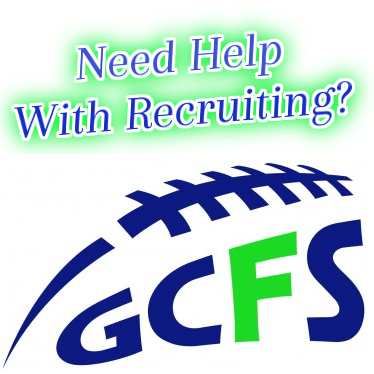 He currently has more offers then any junior in the region and its not really close. Budda always puts team first and says, ” “Goals for next season are to stay undefeated as team and just improve as an individual player… I want to focus on my weaknesses, and most of all help my teammates however I can and help them improve”. Budda has legit interest from most of the top schools around the country including Alabama, and he is far from done in the offer department. He sits with 7 of the Pac 12 schools having offered and before its over will be one of the most highly recruited kids to ever come out of the northwest. The kid exemplifies class and we look forward to seeing him this off season. It’s rare to see a kid as big as D squared run and do the things that he does on the football field. This past season he went for 1270 rushing yards and 23 td’s, averaging 7.5 yards per carry, while making 63 tackles, 6 sacks, and 17 tackles for loss on the defensive side of the ball. He is focused on and off the field sporting a 3.6 GPA while already earning college credit, and taking classes at the local community college. Devante is an Eddie George type back that was a Conference Player of the Year and a 1st team all league kid on both sides of the ball. He would prefer to run the ball at the college level, but will continue to be recruited as a kid that can come in and do both. We can’t say enough good things about Mr. Downs. Another kid that many people are familiar with is the younger brother of record breaking RB Ryan Lewis currently at PITT. Drew is ranked as one of the top athletes in the northwest on both sides of the ball and may project even higher as a safety. Regardless he is an outstanding overall athlete that may even be better then his brother. Lewis went for 1368 all purpose (928 rushing, 440 receiving) and 14 Tds, as Eastlake (4-6) struggled this season after losing 21 of 22 starters from a year ago. Don’t look for the trend to continue as the Wolves are a traditional power and bring back a host of talent. Drew is long and fast and can play multiple positions. His ability to read makes him a viable safety at the next level, but get him the ball offensively next season and he is going to be very tough to stop. He has a 3.0 + GPA and is receiving interest from a host of D1 schools. Drew says, “Our goal is to make it to the dome and as a team we are starting our workouts and training sessions this coming week…. Im looking to talk to as many schools as possible over the coming year with Pitt, Arizona St, and Nebraska all high on the list”. The kids upside is through the roof and we look forward to seeing what the Wolves do with Lewis coming back next season. 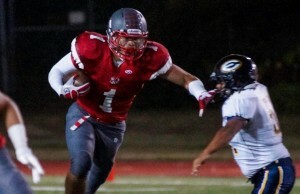 One of the fastest athletes in the country will be back next season after going off in 2012. 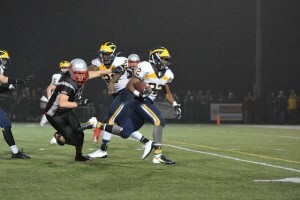 Brandt-Sims went for 1400 rushing yards and 20 Tds , also adding 21 receptions for 317 yards and 5 Tds on his way to earning Big 9 MVP honors. Isaiah made headlines early in his career winning back to back 100 and 200 meter state titles on the track at the highest classification level. He is a phenomenal student (3.9 GPA) that could qualify at some high end academic universities. He has played the slot and running back position for most of his varsity career, but has gotten very comfortable at the RB spot running wild this past season. Isaiah was maybe the most impressive player on our NEI-North team, traveling with us to Vegas for the National 7 on 7 tournament last spring. 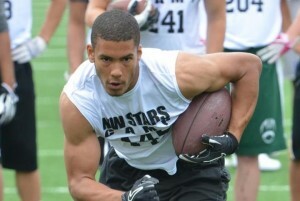 Out of the 30 players that attended the event between Oregon and Washington, Brandt-Sims was the only underclassmen. Brandt-Sims is a kid that should be a double digit offer guy before he is done, and will continue to train and be one of the top track athletes in the region as well. I will keep hollering this kids name for as along as it takes, as he is in the same category of athlete as these four other individuals. He’s not your prototypical back he’s just ridiculously good. 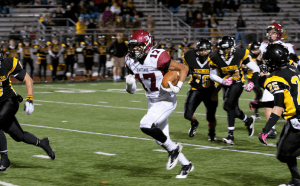 He was Co Conference Offensive Player of the Year in 2012 going for over 20+ Tds , exemplifying game breaking speed and acceleration. Beasley has been a soccer and baseball kid for most of his life and is also a 4.0 student. His abilities on the football field have never been so obvious, as people couldn’t hang with him all year. 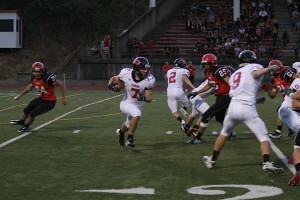 Camas was upended by one of the nation’s top teams in Skyline, led by the top QB in the country in Max Browne. They will return in 2013 as the state’s #1 ranked team as I see it being very tough for anyone to beat with them. Nathan was a second team all league DB as a sophomore and could project as a defensive back in college, as he is one of the most versatile athletes we have seen in some time. He is equally dangerous as a kick and punt returner. Referencing this past season Nathan says, ” it was a great year and we are going to miss some of our seniors that are leaving, but we are a young team and I really like our guys coming back”. He continued, ” I know it’s tough cause i’m not your typical D1 running back, but I really like the position and I enjoy the challenge”.